Our goal is to ensure that school Ysgol Llanbedrog is a happy, safe and active school, which provides the best possible foundation for each child. We aim to ensure that each child gains valuable, enriching and unforgettable experiences. We believe in the importance of identifying the children’s individual needs, responding quickly to any problem that arises. We want every child in the school develop a responsible and confident individuals who are proud of themselves and of their bilingual community. Merry Christmas from Ysgol Llanbedrog! 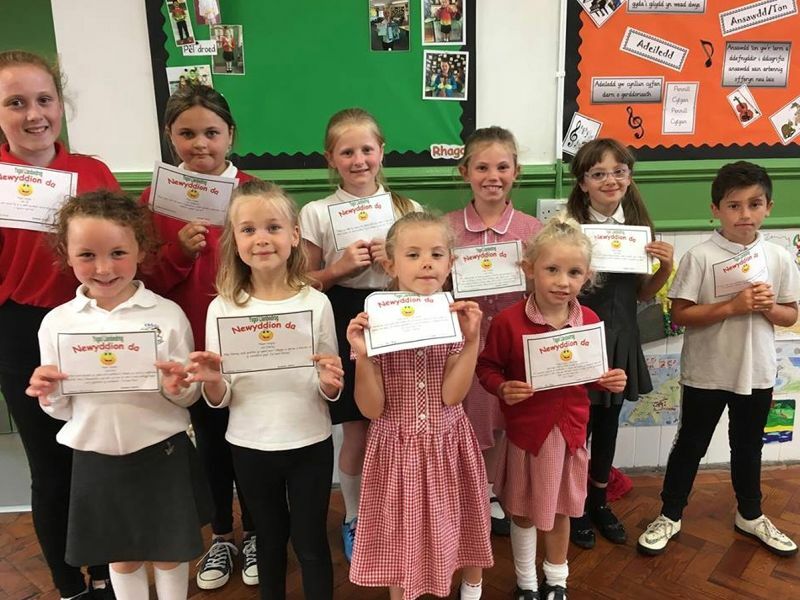 Congratulations to the children who have received a 'Newyddion Da' (Good News) certificate this week for their work and outstanding effort. We look forward to seeing everybody back on Tuesday, the 10th of April!